Do you hear anything when you look at this? It's faint, but I hear the slap of the rope, the tap of shoes and my little girl self singing a jump rope chant. Johnny broke a bottle and he blamed it on me. Johnny got a lickin' and a ha ha ha. How many lickin's did Johnny get? It's the closest I've felt to that little girl in a long, long time. I got a wee bit weary of cold and gray today and I got tired of taking my 10,000 steps indoors . And I discovered Whimsy is a girl. She's innocent and carefree and she appears to be outdoors. Somewhere in our discussion on the first chapter of John last night, I was asked the question, "So, where do you most often experience those 'thin' places?" Those 'thin places'...where the things that keep us from seeing God's face - the things that separate us from the heavenly realm where all is right - suddenly cease to form a wholly impenetrable veil and we catch a glimpse of glory. Glory that makes our souls soar and our minds and bodies free of their fetters... for eternity... within a single moment. Where are those 'thin places' for me now, that, truth be told, I so often experienced at the clothesline when I was busy raising six shoots? It took a moment to realize that in this current season of my life, those thin places often come when I am immersed in art: standing, heart struck, in front of a painting or a sculpture, reading a piece of poetry or prose that " gives expression to the truth that has been dumbly struggling in me for utterance” (Oswald Chambers), listening - my soul possessed of ears - to an exquisite instrument or voice, or transfixed by a dancer who is no longer executing forms and steps, but expressing the beauty of God. I thought about the time I was able to spend - riveted and lost from the earth - standing in front of "Portrait of the Artist's Mother" by James Abbot Whistler. And I remembered how, when I had to leave it behind, I came to understand, in an instant, what is in the heart of some art thieves. 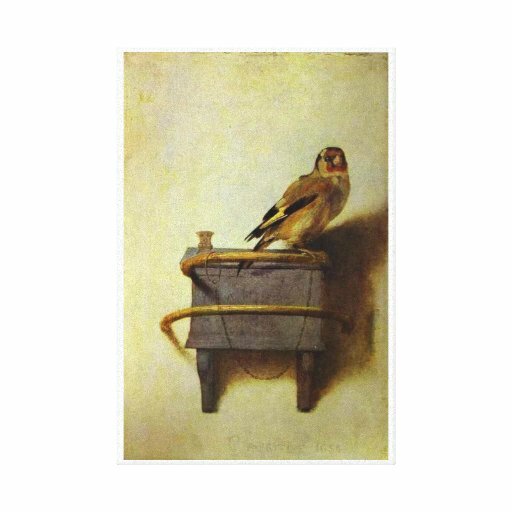 How like the flow of life is it that I should have finished, just this week, "The Goldfinch" by Donna Tartt, a Pulitzer Prize-winning book with art theft featured in its story line? "...if a painting really works down in your heart and changes the way you see, and think, and feel, you don't think, 'oh, I love this picture because it's universal.' 'I love this painting because it speaks to all mankind.' That's not the reason anyone loves a piece of art. It's a secret whisper from an alleyway. Psst, you. Hey kid. Yes you. ... Yours, yours. I was painted for you." And there is the truth. Things - and God - may not be sayable. About a month ago, Prince Charming came into possession of his late uncle's bowling ball. Yesterday, St. Julie (my sister-in-law) and I came into possession of a bunch of used washers when she purchased some metal cabinets at a garage sale. Last night, the two things came together with four rolls of nickels, a tube of E6000, the remaining candlestick of a pair that had formerly been part of our house decor, and a long-held desire to make something I'd seen somewhere (I'm sorry I can't find the source to credit it). I'm glad I didn't make this until Uncle Mason's bowling ball came our way and St. Julie and I happened upon the washers when we were together. Now, instead of what could have been just a funky little something that I took my art out on, I have memories in the form of...of...of...a funky little something that I took my art out on. ...sniff glue in front of the coppers. This busy Friday started with a short stop at Me Darlin' Mither's on my way to D'Art Group. I had only ten or fifteen minutes with her, but it was enough time to share the latest gems I've gleaned from my job entering the names from state obituaries. Yesterday's special was a gal whose legal name was "Twinkle Bell -----------". ...and started painting the backgrounds on our canvasses for an ongoing project. Mine will undergo a complete makeover later. I came home for a bite of lunch before meeting up with our 'adopted' daughter, Leeeeeeeesa, to shop for silk flowers for her upcoming wedding. She's marrying during the holiday season, so a little red and a little bright green are the order of the day. ...and get things all stitched up tomorrow. After the fitting, it's off to the Plum Thicket Book Club meeting, where we'll be discussing "To Kill A Mockingbird". That's a lot of input for one day. Lots of pretty things, lovely people, and creative energy. But none of it exceeded the amazing bit of God's handiwork I stopped to enjoy on my way out to the car first thing this morning. When Baby Girl and her brother spent the night Friday, Creative Genius was watching her perpetual motion and - noticing how she stills bumps off of one piece of furniture and into another - said we should call her 'Pinball'. We settled on Ping, but we haven't told her parents yet (shhhh). Today, I feel a little Ping-ish myself. Aside from my usual hundred-different-projects-going-at-once, my mind is everywhere too; bouncing off the mental furniture of a thousand different thoughts. Sitting on the shelf over my computer desk is a pencil drawing I did in class years ago. I had to cut a small picture from a photography magazine and draw an upscaled version. Who puts a model in a pose like this? Who on earth would ever strike this pose naturally? And it bothers me every time I look at it. I was thinking about my left-turn-bay pennies this morning. I don't know how it started, but I have a growing collection now. Yes, of course this collection is completely different and separate from my Rescued Coin Collection. Of course. Next time you are stuck at a red light in a left turn bay on a busy city thoroughfare, open your door and see if there is a penny laying in the street. If there is, pick it up. ...but she was still beautiful. I think he told me it was his mommy's when she was a little girl. But, I know he told me that it says, "I'm going to Pretty's". These parents nowadays! They lie to their children! I love it. He was a lot happier to be here in the morning. I wish they lived down the street, so they could come over and play for an hour when I take my lunch break. This morning I was enjoying the shadow of our one-of-only-two-blooming-tulips, almost as much as I was the tulip itself. Perhaps it's because I'm drawn to silhouettes. And perhaps I'm drawn to silhouettes because I like to make papercuts. ...in case my Chicken-Raising-Seester might like to have one. I guess the silhouette-cutting falls in line with my recent fascination with drawing blind contours; there is something nice about working with just the shapes of things. ﻿Unless, of course, the thing is me. The rain we've had recently has put the herb garden in fine shape. ...and makes me dream of warm loaves of rosemary bread. ...which usually monopolizes the little bed it lives in, has been downsized by the prolific thyme plant next door. I love the texture of the plant's leaves, but I can't really use this much thyme. Unless, of course, you Dear Readers have some fab recipes to share with me. ﻿And the recipes call for butter. I've been working on new shelving for my studio; customizing the dimensions for the supplies I actually have and use. I found a couple of bare-naked shutters at the thrift store awhile back and bought them because I-had-no-idea-what-I-would-do-with-them-but-I-felt-like-I-needed-to-buy-them. They are becoming doors for two of the shelving units. I've got the pieces all built and painted, and they've been sitting in this corner 'curing' for a few days. Yesterday, I added a striped background to the open shelf I made (no door). I didn't want to paint on the wall, so I decided to glue paper to the backside of the shelf. I was going to use nice art paper, but when I discovered that the poster board was sturdier, almost the same color, and would only cost $1.50, well, I signed up. ...and hoping to get these units actually hung on the wall. Gotta get out the stud-finder. Though, I know the stud I really want is at work in a tall building downtown. It occurs to me this morning that I usually have many projects in each of these categories. I've got at least one from each list on my mind today. ...and thought, again, of how very kewl it will be when there are enough to actually lay the entry floor with them. A project I completed just yesterday is already on the do-over list. I cut some new paper birdies. I liked their modern look, and I wanted a mobile for my studio, but I combined two looks that I like, quite unsuccessfully. I like the idea of the branch looking like it's growing out of the wall, but I think these particular birds need a sleeker hanger. I'll have to do the branch thing elsewhere in the studio, with birds of a different feather. How shall I do the do-over, Dear Readers? I took a loooong time to finish this all-done project, but I'm so pleased with the results that I've made peace with the time span. My seester (of the Blue-Bar-of Happiness) gifted me this wonderful set of kids furniture (she has a set just like it that we have all lusted after liked for a very long time). When I recieved this fab gift, I took forever to decide what color to paint it (it started to be red once). Then I took the rest of eternity to find the perfect fabric to cover the top (I put clear vinyl over the fabric to protect it). But, don't I just love it? It's bright and cheerful, without being childish, which I appreciate, because this set sits in my family room. I keep looking at this fabric and thinking how much I would enjoy taking a yard of it to play on - with free-motion stitching, felt flowers, beads, and other embellishments - and then making a bag/purse from it. But I'm not going to buy the fabric until I am ready to play. I can't add anything else to the undone list right now. One evening last week, when we were winding down the day, the Prince said to me, "I know you'll probably think it's really stupid, but I laughed at something today". "What was it?" I asked. "I saw a bumper sticker that read "I miss Pluto", and the more I thought about it, the funnier it was." "Ahahahaha! That's great!" I said. And the more I thought about it, the funnier it was. It was always my favorite planet in our solar system; poor little thing, stuck way out there all by its lonesome. I told the Prince I wanted to have one of those bumper stickers and, of course, the Prince got me one of those bumper stickers. Know what I'm going to do with it? I'm going to frame it. And it's going to hang on my 'gallery wall' when it's finished (the wall, that is), right alongside a lot of other quirky pieces of 'art'. Because it makes me feel better inside to acknowledge the loss of Pluto. And because it makes me laugh. Our lives are full of His goodness toward us. Here are a few of the 'goodness' inchies of December. I told you about some of our abiding friendships, and the dinner party we have each year to celebrate and enjoy them. There is a preciousness even to the work and preparations for our time together. And, of course, it doesn't hurt a thing when I'm sharing them with Prince Charming. When I set out to have tea with my D'Art group at the home of one of my friends about ten miles from here, I had no idea it would take me two hours to get there. But I'd never been to her home, and I missed the exit I was supposed to take. Then I missed the only other exit I could take for the next 20 miles of turnpike. When I finished that 40 mile round trip and got back to the exit I should have taken in the first place, I got very confused, made a wrong turn, and wound up right back on the same turnpike...to drive that 40 mile round trip again. During those two, long, frustrating (I cried) round trips there were two conversations taking place. The members of my group called several times to implore me to "come anyway...we're waiting for you". And I was asking God if there was anything in particular He wanted to say to me, since it was clear to me the plans I had made had been thwarted. It wasn't until I got into the warm embrace and comforting company of my friends that I realized God was very kindly showing me that He hears and answers prayers. I had been praying (with some fervor) that He would thwart any plans which would bring harm or evil to someone (in particular) whom I love dearly. He just wanted me to see how easily He can thwart plans. And, at the end of my thwarted plans was the comfort of God for my body, soul, and spirit. It is good to belong to Him. My daughter-in-love (who is a gift to our family) paid me the highest compliment she could when she saw the elephant collage I'd made and hung in our home (years ago). She said, "I want one of those." I am ashamed of how long it took me to make one for her; especially when I remember that she picked out the papers months and months ago. ...and cut out a gift for her. It was one of the delights of my Christmas season this year to enjoy shopping for all my beloved family members. Because I had to sandwich them in to my work schedule, many of the shopping trips were necessarily short. I considered it such a gift to find something I loved, which looked just perfect for someone I love. But a much greater gift just to have this someone I love in our family. After working until noon, I came home and grabbed Miss Helping Hands for a foray into the commercial world. We went to one of our favorite places to buy a book for Little Man. But it was 2:00 by the time we really got out there and, since neither of us had eaten lunch, we were both getting kind of growly with hunger. We decided to stop at Braum's for a hamburger. We decided we'd just eat a junior burger and have an ice cream cone, too. Thing is, Miss Helping Hands had really gotten that ice cream cone in her head bad. She ordered it at the same time she ordered her burger. And I, not having a mind of my own when I am in the presence of such strength, followed by doing the same exact thing. Now, how are you supposed to eat a hamburger when one hand is quite occupied with holding a rather large waffle cone full of ice cream? I'm not going to tell you who set their ice cream on a napkin to melt while (sensibly) eating their burger first, or who ate with both hands full of food, taking alternating bites from each. But I sure wish I had a picture of her doing that. I mean, painting on canvas is not my thing. But, copying the work of other artists was one of the recommended exercises in the book we've been working through in my D'Art group. So, in a break from our standard meeting protocol, we got together last week and we each painted (as much as we could in one and half hour's time) a copy of Van Gogh's "Starry Night". I'm so sorry I forgot to take my camera along (but so grateful for the cell phone camera and kindness of my friend who took, and emailed to me, the pictures below). It was very interesting to see how differently each of us approached the project. The two experienced painters in our group began mixing and applying paint almost immediately. The two of us with no painting experience did a lot more pencil sketching first. For me, it was a great lesson in art appreciation. This morning I traded my indoor workout for my first real bike ride of the season. The sky was so blue. The people I passed were cheerful. Q's are hard to come by in the world. And if we didn't have them, we'd have to quit asking questions. So, I rescued the Q from the mean streets. I've been collecting for my "found alphabet" for several years. I'll be right there to play a game with you Miss Mary Mack. My computer had a few issues over the weekend so, though I've been busy, I haven't been able to blog at you. Techie told the computer just how the cow eats the cabbage yesterday, so now we're one big happy family again. Sure do love having a home-grown Techie on my side. One of the things I was working on while they decided who was boss, is a piece I'm trying to finish for my 'gallery wall' (aka my entryway). I'm playing around with different papers trying to get a feel for the colors of the actual mats and frame. Only the coins in this photo will actually be in the finished piece. They are all coins I found on the street during fitness runs. I'm trying to decide how to mount, mat, and frame them. Some of them are quite defaced. Some of them are actually cut, and many of them are marred beyond recognition. But all of them are either pennies or dimes. "Rescued Money - Keeping Frank and Abe Off The Streets"
And where should I put the title? Another thing I worked on over the weekend was planting flower seeds in flats in the sunroom. I haven't taken any pictures yet, because they would be pictures of large box-tops full of dirt, which I didn't think would be very pretty. But now that I've said that to you, I think I will snap some photos tomorrow... and once a week, from now on. It might be fun to see how many large box-tops full of dirt actually morph into something more exciting. Something like Sweet Peas, Nasturtiums, Bachelor's Buttons, Marigolds, Impatiens, Cosmos, or Alyssum. Today I snapped some shots of a historical moment: Naomi's first Grandshoot eating his first PBJ sandwich. He liked it very much. Before lunch, Naomi and I had followed Little Man up the stairs and let him explore the temporarily-abandoned studio. It made me remember something important. ...I realized it had been way too long since I'd done any sketching. It felt so good to have that pencil in my hand. And to make something appear on that blank paper. It made me miss my sketchbooks. That's what I remembered when we were up in the 'real' studio today. So I dug out one of my sketchbooks and brought it down into the real world. And while we sat singing Little Man to sleep (and believe me, you'd go to sleep, too, if it meant you wouldn't hear Naomi singing anymore), I sketched a little bit of my own self and surroundings. I love me some Converse All-Stars. And I love me some pencils and paper. Why do I ever stop drawing? I've hardly drawn a thing since I finished these drawings of the Shoots' eyes. I'm not happy about that. Today I am committing to "putting pencil to paper" every day in March. Even if it's only to do the quickest little sketch ever. You all hold me accountable, okay? I can be a little sketchy about follow-through.